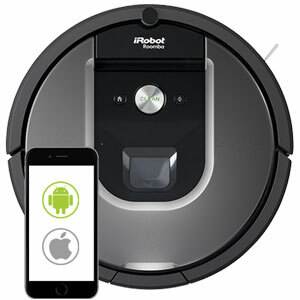 After hearing the words “robotic vacuum cleaner”, most people think of either Ecovac’s Deebot or iRobot’s Roomba. By listening to the customer’s needs and constantly improving their products, both companies have earned the recognition they have today. Why is it Worth to Buy Deebot? Why is it Worth to Buy Roomba? A question that is more difficult to answer, however, is which one is best. With that challenge in mind, this article will go into an in-depth comparison of Deebot vs Roomba. It will go about it by analyzing some of the most prominent models featured in both lines, putting them against each other to determine which one is best. With 20 years of experience, Ecovacs Robotics is one of the leading companies producing in-home robotic appliances today. Without a doubt, one of the company’s main contribution to this area of technology has been the creation of the Deebot, a robotic and automated floor cleaning appliance that is capable of vacuuming and wet-mopping floors. Throughout the years, Deebot has released several models of the Deebot. Being there so many, it would be unpractical to make a comparison between all the Deebot models available. Instead, this guide will focus on four standout Deebot models. The first is de Deebot N79s, a smart-motion device with multiple cleaning modes and compatibility with a smartphone app. Next is the Deebot M80, a device that features both vacuuming and mopping abilities. Following is the Deebot Ozmo 930, a product that stands out due to its mapping functions. Last but not least is the R95, a Deebot model that uses SMART NAVI technology to clean the floors thoroughly and efficiently. The original Roomba was the first model of robotic vacuum that the general public could buy. 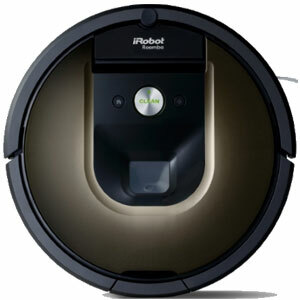 Since the first one appeared back in the year 2002, iRobot has released a large number of Roomba models. All the Roomba models that are now available came out within different series. These series shared common characteristics in terms of design and technology. There are too many Roomba models to compare them all in this guide. The best alternative is to take four of the best Roomba models on the market in order to compare them with each other. The first model that in this article will discuss is the Roomba 690 that features a patented 3-stage cleaning system. There is also the Roomba 890, a Wi-Fi compatible model that is capable of making 60 decisions per second in order to be more efficient. Going a step further, we have the Roomba 980, a robotic vacuum cleaner model characterized by its impressive power. Finally, this guide will be going over the Roomba 960, a model that is smart to navigate an entire level of your home with ease. 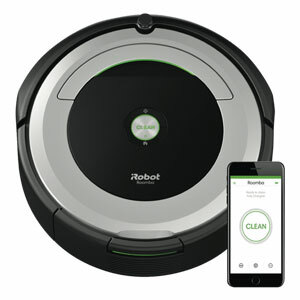 To answer the question of who would win in an Ecovacs Deebot vs Roomba clash, this guide will make a face-to-face comparison between some of the most representative products by both brands. To make the fighting terrain more even, the eight products featured will battle in two different groups of four. Featuring a very straightforward design, the Deebot N79s is not the most eye-catching robotic vacuum in this group. Its chocolate color, however, is pleasant and homely. At 12.2 inches, this vacuum larger and a bit more imponent than the majority of Deebot models on the market. In terms of height, the Deebot N79 stands at a standard 3.3 inches, making it low-profile enough to fit under most pieces of furniture. In combination with security monitors, the Deebot N79s uses infrared sensors in combination with a smart selective system that decides the most efficient course of action. You can control this device using the universal Ecovacs App. The Deebot M80 is a robotic vacuum that stands out due to its additional mopping functionalities. This versatile device is compact and sleek, featuring a modern style that makes it look somewhat futuristic. Featuring only a powering switch and an auto-cleaning button. the Deebot M80 is also quite minimalistic when it comes to its basic functioning modalities. Other than those buttons, it only has a couple of indicator lights on its surface. Measuring 13.9 inches in diameter, this device is somewhat bulky. Additionally, it’s a bit heavy. However, it features a large dustbin capacity that enables it to clean for longer periods of time. Roomba 690 vs 890 â What is the best option to buy? Sleek and elegant, the Roomba 690 looks good in any home. Measuring 13.0 inches in width and 3.7 inches in height, it’s not the most compact of its kind. However, it fits under most furniture perfectly well. With Wi-Fi connectivity options and App control, the Roomba 690 does not run low on features. Its most practical one may be the virtual wall it comes with, a small tower-like device that prevents the Roomba 690 from entering certain spaces. Without deviating much from the designs of earlier Roomba models, the Roomba 890 looks particularly futuristic and minimalistic. Using iRobot’s proprietary iAdapt navigation technology, this robotic vacuum can find its way around a room with a surprising level of efficiency. Its sensors are especially effective when it comes to detecting obstacles or potential dangers such as stairs. Featuring a 3-stage cleaning system comprised of agitation, extraction and suction, the Roomba 890 is capable of incredibly thorough performance. In fact, it can clean basically anything. Largely, this is possible due to the sheer power of its Gen 2 motor. To be sure, all the robotic vacuum models in this group feature a minimalist, functional design that makes them as unobtrusive and practical as possible. However, there are some important differences between them in this regard. While the Deebot M80 and the Roomba 690 are angular and disc-like, the Deebot N79s and the Roomba 890 are more rounded and compact. Due to this design, the former two are more futuristic-looking. Meanwhile, the latter two’s design is warmer and more elegant. There are some important differences in size between some of these products. 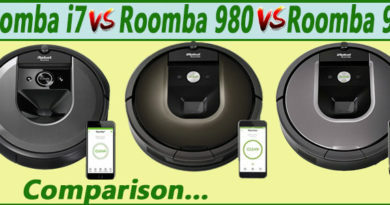 When it comes to Deebot M80 vs Roomba 690, this difference becomes more evident because the latter is a whole inch larger and almost half an inch taller. On the contrary, the Deebot N79s and the Roomba 890 are very similar in size. Without a doubt, the main point of contention when it comes to the differences between these products is the cleaning system they use. 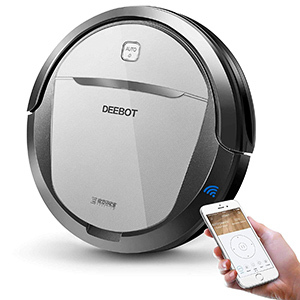 The Deebot N79s, for example, uses four sensors to determine its cleaning path. Its same-brand counterpart, the Deebot M80, operates in very much the same way. All these products feature different cleaning modes. One of the most varied, the Deebot N79s allows you to choose between auto-clean, a couple of targeted cleaning modes and an edge cleaning mode. Meanwhile, the M80 has all this plus a max cleaning mode for open spaces. When it comes to cleaning power, there are also important differences between these products. Both the Deebot N79s and the Roomba 890 feature 1000 Pa of suction power. Meanwhile, the Roomba 690 and the Deebot M80 are at 600 and 500 Pa, respectively. Due to their particular characteristics, they are also different insofar as the area they can clean. In this aspect, the Roomba 690 has the advantage with 1830 square feet. One of the most important things to look for in a robotic vacuum is its cleaning quality on different surfaces. In this respect, the Deebot N79s and the Roomba 890 are the inferior products for bare floor types. However, the latter is capable of cleaning medium-pile carpeting, something that the other products can’t do. The Deebot M80 and the Roomba 690, on the other hand, can only handle low-pile carpeting. All these products have great usability. In fact, they all feature scheduling functions, Wi-Fi compatibility and App control. However, due to its use of a virtual wall and an IR remote control, the Roomba 690 has the lead in this part of the battle. As previously mentioned, the four devices featured in this part of the review offer both Wi-Fi and app connectivity. Both the Ecovac and the iRobot apps are efficient and user-friendly. Consequently, this part of the comparison results in a tie. With 3000 mAh of battery capacity and a runtime of 110 minutes, the Deebot M80 leads this section of the competition. The Deebot N79s is also up there with 2600 mAh and a runtime of 100 minutes. Both Roomba products fall behind with less than 2000 mAh each and an equally inferior runtime. However, at 120 minutes, the Roombas are also faster to charge, while the Deebots take twice as much. As far as pricing goes, there are no great differences between three of these products. Both Deebots and the Roomba 690 go for just over $250. The Roomba 890, however, is another thing. Going for more than 400 dollars, it is clearly more expensive. Everything considered, the Roomba 690 is the clear winner of this round. Apart from having all the features one could want from such a product, it has a higher level of quality and more cleaning power than the others. Featuring an angular and edgy design in black, the Deebot Ozmo 930 looks bold and powerful. Its buttons and indicators are well-distributed and visually-pleasing, adding to its sleekness. In terms of size, at almost 14 inches in diameter, this device is a bit above average. It is also somewhat heavier than average. However, it moves very gracefully. In terms of cleaning functions, it is versatile enough to function in most surfaces and spaces. A unique aspect of this device is that it has carpet identification abilities. With a very low-profile and an elegant design, the Deebot R95 looks every bit as functional as it is. Its streamlined design features two buttons and four indicator lights. Using a laser mapping sensor type, the Deebot R95 is capable of great precision. It also has smart mapping and planning abilities that ensure maximum efficiency during cleaning. Even though it’s louder than most robots of its type, this device is rather powerful. With a diameter of 13.9 inches and a height of 3.6 inches, the Roomba 980 is very average when it comes to size. Design-wise is also rather unassuming, giving preference to elegance and subtlety rather than attractiveness. Where it really stands out, however, is in the number of features that it has. Featuring scheduling, Wi-Fi and app connectivity, IR remote control, Google Alexa support and a virtual wall for extra safety, this model definitely has got teeth. There Roomba 960 is smaller and more low-profile than most Roomba models out there. It features a clean and sleek look that many will surely like. Despite its compact size, it has an impressive 600ml of dustbin capacity. One of the most standout features of this model is its ability to clean not only low-pile carpets but also medium-pile ones. Additionally, it can clean various different types of hard floor. The Roomba 960’s cleaning system that uses a camera sensor. Apart from improving efficiency, this system helps prevent accidents such as falls or jams. With all of them featuring a round shape and similar size, there is no huge difference between these products when it comes to their basic design. However, there are important differences as well. Mostly, they have to do with the location of their buttons, switches and indicator lights. 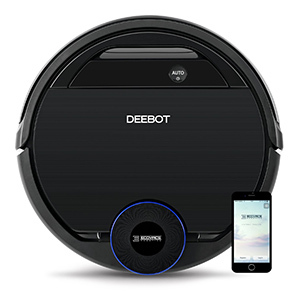 In this respect, both the Deebot R95 and the Roomba 960 have the upper hand as they feature a more streamlined and user-friendly design. Similarly to what happened in the first battle, there are no huge differences between these four products when it comes to size and dimensions. In fact, the biggest difference comes from the following comparison: Deebot Ozmo 930 vs R95. While in terms of diameter both devices are very similar, there are considerable differences in height. While the Deebot Ozmo 930 is the tallest in this part of the review, the Roomba 960 has the lowest profile. Regarding their cleaning parameters and vacuuming technologies, these four products have similarities and differences. All of them have mapping and path-planning abilities. However, while both Deebot devices have laser-based sensors, the Roombas in this article use a camera to know where to go. The four devices also feature the ability to listen to voice prompts. The Roomba 980 also towers above the other three products when it comes to cleaning modes. While both Deebot devices and the Roomba 960 only feature two or three, the Roomba 980 features spot cleaning and carpet boost in addition to the basic cleaning modes. In terms of cleaning power, there are some marked differences between these products. The clear winner in this area, however, is the Roomba 980 and its 1700 Pa of suction power. Interestingly, this amount of power makes it stronger than 93% of all vacuuming robots. As if that was not enough, the 980 also boasts the largest cleaning are of the four products featured in this part of the review (1990 square feet). To be sure, the ability to clean different types of surfaces is an important one. 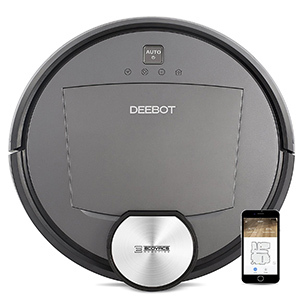 In this regard, both Deebot models will give any robotic vacuum a run for its money. They are both able to clean hardwood, tiles, laminate and linoleum floors efficiently and without jamming. Additionally, they are both suitable for cleaning both low-pile and medium-pile carpets. However, both Roomba models featured in this section of the review are decidedly more versatile. 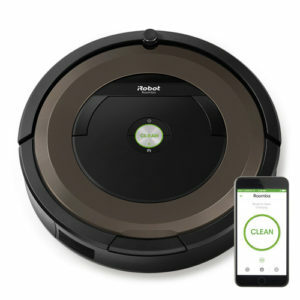 Apart from the four types of surfaces that the Deebot models can clean, both the Roomba 960 and the Roomba 980 can leave vinyl and marble tile floors looking spotless. When it comes to usability, there are two devices in this section that are clearly superior. All of them have scheduling abilities, Wi-Fi, app connectivity, Alexa support and virtual wall compatibility. However, neither the Deebot R95 nor the Roomba 960 feature an IRS remote control. Both the Ecovac and the iRobot apps are efficient and user-friendly. As a result, there is a tie in this section of the comparison. With an impressive 3000 mAh of capacity and a runtime of 120 minutes, the Roomba 980 has the lead as far as battery goes. However, despite having an inferior runtime, the Roomba 960 charges in half the time as the 980 (120 minutes). All the products in this second battler and more expensive than those in the first battle. While the Deebot R95 is the one among them with the lowest price, the Roomba 980 is the priciest. Meanwhile, gong for around 500 dollars, both the Deebot Ozmo 930 and the Roomba 960 at around the same price range. Without a doubt, the winner of this battle is the Roomba 980. While the other three products are valuable, the 980 is superior when it comes to efficiency, battery life, connectivity, usability and overall quality. By most accounts, Deebot products are reliable and efficient. Despite being relatively affordable, they are durable and need little to no maintenance. Typically, Deebot devices feature great suction power. They also have various cleaning modes that make the process more efficient, particularly when you take advantage of the device’s app connectivity abilities. On the other hand, however, Deebot products tend to use laser-based mapping sensors, resulting in a mapping process that is prone to mistakes and errors. In comparison to Roomba, Deebot devices tend to be compatible with fewer types of floor surfaces. Even worse, Deebot products tend to have less battery life. A redeeming quality that most Deebot models have, however, is the ability to respond to voice prompts. Not only that but they tend to be controllable through IR remote control. 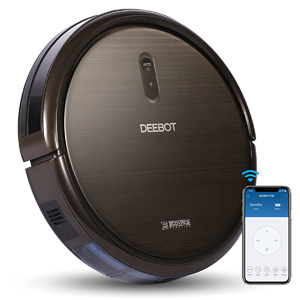 Everything considered, Deebot vacuums are worth buying when for smaller places with less potential obstruction (assuming they have the right floor surface type). Taking everything into consideration, Roomba is still the most consistent and reliable brand of robotic vacuums. Despite not having all the bells and whistles, even its older models hold up today. Largely, this is due to their efficiency and practicality. In particular, more recent Roomba models such as the Roomba 980 are state-of-the-art. Featuring powerful motors, advanced mapping abilities, extended battery runtime and more, models such as this one tower over the competition. That is not to say that Roomba is perfect, however. A common complaint, for example, is that their dustbin capacity tends to be low. At the same time, there is the matter of price: Roomba products tend to be very expensive. Everything considered, however, Roomba is great for most applications (as long as you can afford it). As a conclusion, all the robotic vacuum models featured in this guide are worth looking into. While there were clear winners in both battles, the products that did not win also have a great deal to offer. If you are looking for the highest level of quality, however, both the Roomba 690 and the Roomba 980 are the ones to strive for. ← What’s the Best Robot Vacuum for Carpet?